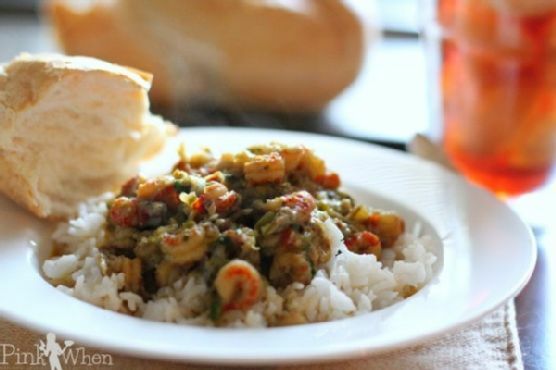 How to Make the Best Crawfish Étouffée could be just the pescatarian recipe you've been looking for. This recipe serves 8. For 49 cents per serving, this recipe covers 7% of your daily requirements of vitamins and minerals. One portion of this dish contains approximately 4g of protein, 9g of fat, and a total of 128 calories. 1 person were glad they tried this recipe. A mixture of chicken bouillon cubes, flour, pepper, and a handful of other ingredients are all it takes to make this recipe so scrumptious. From preparation to the plate, this recipe takes approximately 1 hour. It is brought to you by Pink When. Taking all factors into account, this recipe earns a spoonacular score of 43%, which is good. If you like this recipe, you might also like recipes such as Crawfish Jalapeno Cheese Cornbread topped with Crawfish Etouffee, Crawfish Etouffee, and Crawfish Etouffee. Chardonnay, Gruener Veltliner, and Muscadet are my top picks for Crawfish. Though different seafoods can certainly call for different wines, generally a crisp, light-bodied white wine or a sparkling white wine will do the trick and not drown out any subtle flavors. You could try NV Mindbender Chardonnay. Reviewers quite like it with a 4.4 out of 5 star rating and a price of about 12 dollars per bottle. Lightly Oaked, the Mindbender Chardonnay is a sophisticated style of Chardonnay, that is full of the best elements of this classic grape varietal. The aromatics are complex and welcoming with floral and citrus tones mixed with hints of honeysuckle and butterscotch. The good percentage of oak aging brings a lovely vanilla note. The Mindbender Chardonnay is here to make you see Chardonnay in a new and innovative way. The Mindbender Chardonnay is a sophisticated style of Chardonnay, that is full of the best elements of this classic grape varietal. Visually it is golden straw in color. The aromatics are complex and welcoming with floral and citrus tones mixed with hints of honeysuckle and butterscotch. The well-rounded flavors carry the butterscotch throughout lending a smooth, creamy aspect while the citrus flavors bring freshness and brightness to the body. The good percentage of oak aging brings a lovely vanilla note. The finish is rounded out with a depth of ripe fruit flavors such as apricots, melons and peaches with a spritz of lime.